The silver maple (acer saccarinum) is a fast-growing, hardy tree that can grow as tall as 100 feet. It transplants easily and grows most rapidly in a moist area, often in wet areas where nothing else, save a willow, will grow. It tolerates pollution well, making it a favorite urban tree. It does have a few drawbacks, though; it can be invasive and often grows roots along the surface, making mowing around the tree difficult. It is also a fairly weak-wooded tree, so keeping it in shape by pruning correctly helps to avoid breakage and wind damage. Prune maples during their dormant period when you can see their shape and branches. Pruning in late fall or early winter removes wood when pests and diseases are not likely to thrive on the green wood. Remove dead branches any time they are identified. The U.S. Forest Service recommends that you prune “first for safety, next for health, then for aesthetics”. Silver maple branches that hang over buildings or sidewalks are safety hazards because the wood is so weak. The trees also send out branches that overgrow the basic shape of the tree. 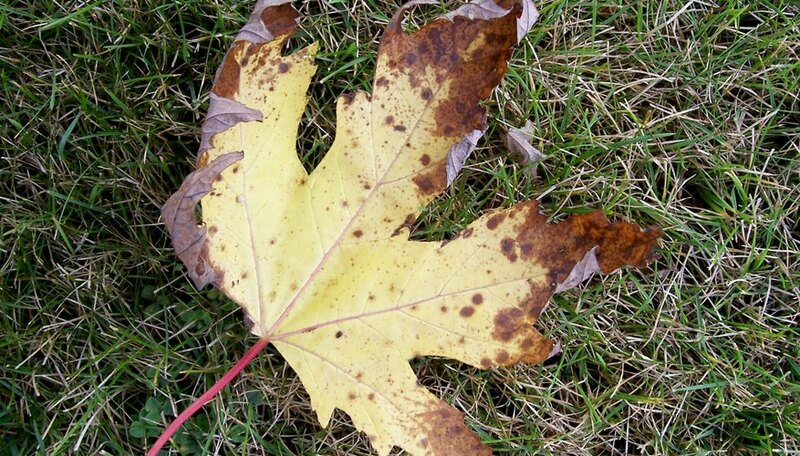 Trim a maple sapling as soon as it begins to look “weedy”. Silver maples should have only one trunk and many grow several. Cut the extra trunks close to the main shoot just beyond the thick branch bark ridge that runs parallel to the branch and thick “collar” that surrounds the branch. Make first cuts on the underside of large branches a few inches out from the collar, then make a second cut all the way through the branch adjacent to the collar. Making a “starter” cut keeps the branch from falling, shredding the bark—and collar that will form the “wound-wood”—as it goes. Remove branches that form too sharp an angle. These “Y” notches will produce growth that fills in the center of the tree, blocking light and air. The collars often fold back, too, exposing the tree rather than growing together to protect it. Growth from these branches may also grow against other branches, wearing down the relatively thin bark of the silver maple. Trim the ends of branches with “U”-shaped joints to lessen the weight on them. Prune frequently—yearly if possible. Silver maples need discipline to avoid becoming 100-foot top-heavy monsters. Remove silver maple branches that become thicker than one-half the diameter of the trunk. Remove branches of less than 2-inch diameter on older trees and remove crowded or intersecting branches to “lower” the crown. “Raise” the crown by removing lower branches to improve air flow and allow more sunlight around the tree’s trunk. Young silver maples are very thin-skinned. Take care with sharp tools, including lawn mowers, around them. As silver maples get older and their branches get heavier, they often need reinforcement at the "crotch"--the place where the crown splits up in the foliage--often by tying the main branches so one can't bend and break. Silver maple is susceptible to verticillium wilt. Clean pruning tools before and after use with a solution of 10 percent household bleach or 70 percent rubbing alcohol and water to avoid spreading disease. Do not stand on a ladder to trim trees. If your tree is taller than the reach of a pole trimmer (about 18 feet), you may need to rent a "bucket"--or call a professional. Avoid making "flush" cuts that destroy the bark collar or "stub" cuts that leave exposed wood beyond the collar that may be susceptible to disease. Always wear eye protection when pruning.